German Carmakers Test Emissions On Humans And Monkeys : The Two-Way Twenty-five "healthy young persons" were exposed to different concentrations of nitrogen dioxide for hours as part of a study for the car manufacturers. The gas can cause respiratory problems. German Chancellor Angela Merkel at the 2017 Frankfurt Auto Show. Revelations about emissions experiments on humans and monkeys, paid for by German automakers, have drawn global outrage from politicians, animal rights activists and environmentalists. The Süddeutscher and Stuttgarter Zeitung both reported on Monday that a research group funded by the auto industry giants tested the effects of gas nitrogen dioxide — a component of car exhaust — on " healthy young persons." According to the paper, the European Research Association for Environment and Health in the Transport Sector examined participants at the University of Aachen "after inhaling NO2 at different concentrations for several hours each." In the end, the EUGT, which was disbanded in 2017, concluded that no health effects could be detected. Diesel emits more particulate soot than regular gasoline, as well as pollutants such as nitrogen dioxide and nitrogen oxides that in the short term, the EPA says, can lead to respiratory ailments and exacerbate asthma. Revelations about the companies' experiments on people came just days after the New York Times wrote about similar exhaust inhalation tests they funded involving monkeys in the U.S. in 2014. The idea behind the test was to prove the newest diesel technology had solved diesel pollution problems. But the VW cars in the study used software that cheated on emissions. 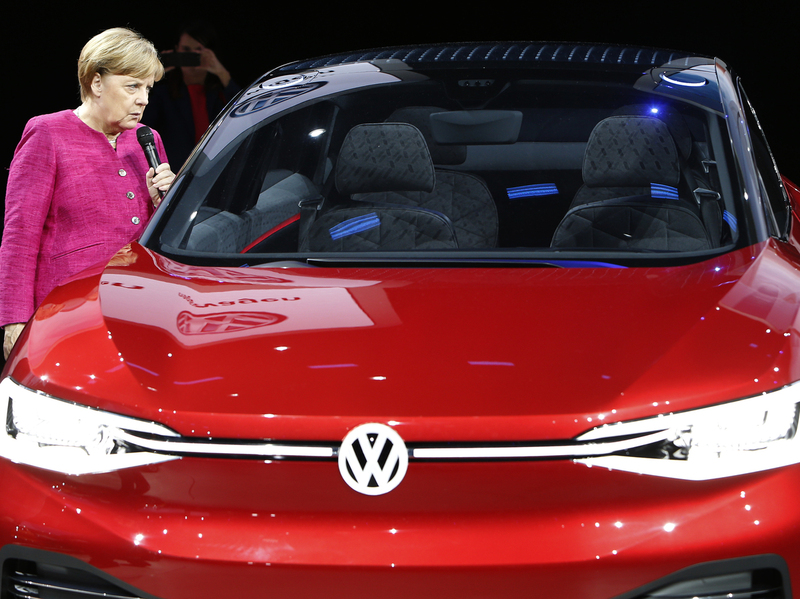 German Chancellor Angela Merkel called on the car manufacturers to immediately disclose the full extent of their scientific research, The Guardian reported. "These tests on monkeys or even humans are in no way ethically justified," said Merkel's spokesman Steffen Seibert. "The indignation felt by many people is completely understandable." The research was intended to show that modern diesel technology had solved the problem of excess emissions linked to a range of lung ailments and blamed for tens of thousands of premature deaths. Instead, it has shed unwelcome light on the methods that the carmakers had used to influence political debate. The newspaper expects the latest scandal is "likely to intensify a backlash against diesel in Europe, where, until recently, it was the most popular engine option." The car companies have met the global ire with apologies, though all three argue they were not involved in setting up the experiments. That, they say, was done by a research advisory board made up of scientists. "We apologize for the misconduct and the lack of judgment of individuals," VW said in a statement. "We're convinced the scientific methods chosen then were wrong. It would have been better to do without such a study in the first place." Daimler and BMW executives also denounced the study while trying to limit their connection to VW. "We believe the animal tests in this study were unnecessary and repulsive," Daimler said in a statement. "We explicitly distance ourselves from the study." VW has been under heavy scrutiny in recent years over its role in a decade-long diesel emissions cheating scandal, in which the company manipulated its diesel cars to hide how much pollution they were emitting. And in 2016, VW agreed to pay up to $14.7 billion to resolve claims from consumers and the U.S. government. Reuters reports VW has pledged never to test with animals again.